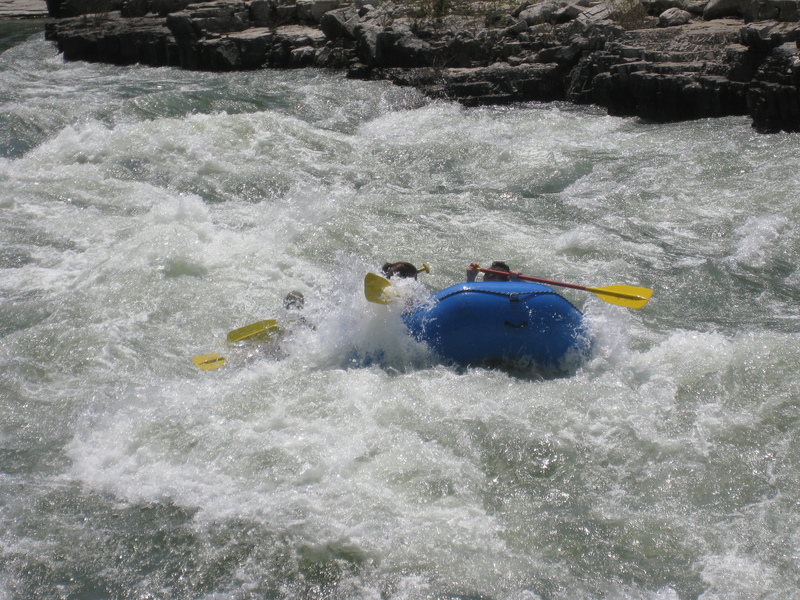 When I was doing some serious white-water rafting, our bunch of river rats all looked out for each other. But we also believed in the philosophy of self-rescue. It’s a great philosophy, which one day I realized worked in the real world as well as the play world. In my younger days, I wanted things around me to change to make my problems go away. Nowadays, I know I have to be the one to change, or act, or even escape from the people who disturb my well-being and self-confidence. There are people like that, you know. So my wish for all of us good-intended souls is that we somehow find the means and strength to rescue ourselves, even if it’s just from boredom. Find your passions in life and follow them – and don’t let roadblocks get in your way. In other words, smash your own spiders. Don’t you just love that phrase? I certainly do. And when I recently heard it, I knew I had to find a way to share it. The Wondering-Wanderer’s blog pick of the day. 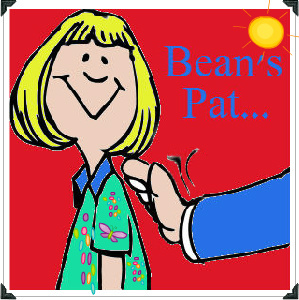 Bean’s Pat: Breezes at Dawn http://tinyurl.com/q4g9jf3 Wake Up! Robin is one of my favorite bloggers. I hope you enjoy her, too. Hi, Pat. That’s a great spider photo. Here in the Pacific Northwest we don’t have many poisonous spiders. I also don’t know how to recognize the ones we do have. I am basically a live-and-let-live person. With spiders, if they’re outside I leave them alone. If they’re inside, I kill them. I would love to be able to pick one up in a Kleenex and take it outside, but I don’t have the “right stuff” for that. This one was identified as a jumping spider. A few spiders are really frightful, but most are live and let live creatures, like you. Thanks for commenting. I don’t smash spiders, Pat, though I understand the idea. 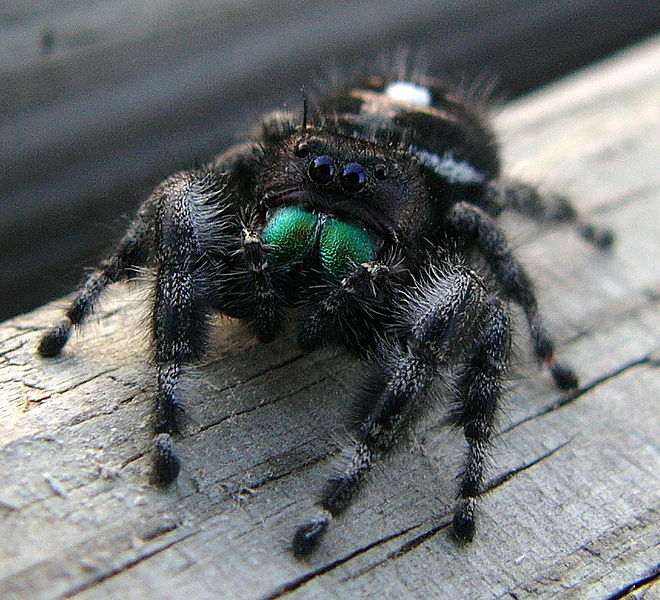 That photo is one of my favorite spiders, BTW, the Daring Jumping Spider. They don’t automatically scurry and run off as so many do, but seem to watch any movement with their big friendly eyes. The neatest one I ever saw was actually a light gray with turquoise blue eyes, well, four of them, anyway. The other four were black. *G* And they’re daring because they will rear back on their back legs if you get too close, as if daring you to try something. I love that kind of brass. Those large spiders can be pretty scary. I don’t smash them though. I encourage them with a long-handled broom to go outside! Great post – love the phrase – fits well the transitions in my life since age 40. Thanks for sharing. My motto about spiders is as long as they are outside they are safe from me. They have a right to this world, too. But if they invade my house, sadly, I do smash ’em. I rarely smash anything except by accident. I figger anything alive is just trying to make it through this world in the best way it can, just like me, and I wouldn’t look too kindly at being smashed, so….